On April 27th, 2009, the Oriental Institute published another suite of Egyptological titles from its backlist. Journal@rchive, is an archive site of J-STAGE operated by the Japan Science and Technology Agency. They are now serving a suite of journals focusing on antiquity. In addition, like all big aggregators of journal content, they have a search function which allows the discovery of lots of scholarship buried in unlikely places. For instance, a search for "mesopotamia" will produce a findset of articles included in the journals listed below, but also in such places as Japanese Journal of Breeding and Proceedings of the Japan Academy. Ser. B: Physical and Biological Sciences. Anthropological Science, earlier entitled Journal of Anthropological Society of Nippon, 60 volumes: 51 (1936) - 110 (2002). Nihon Kokogaku (Journal of the Japanese Archaeological Association), 14 volumes: 1 (1994) - present = 14 (2007). Dio : The International Journal of Scientific History, earlier entitled (amusingly) Dio and the Journal for Hysterical Astronomy, 15 volumes: 1991 - present [born digital]. This began as a very personal journal, however the current editor is intent on bringing it mainline. In order to support innovations in scientific publishing Walter de Gruyter is pleased to announce the introduction of an enhanced feature in its publications: de Gruyter Open Library. Effective immediately, authors of journal articles and book chapters in collected volumes and series titles have the option of making their accepted articles freely accessible on the service Reference Global. To be included in the Open Library authors or their institutions or funding agencies will be required to pay an access fee of 1,750 Euro. At first glance the project mentions only "journal articles and book chapters in collected volumes and series titles". Likewise it seems that the project is entirely prospective. One hopes that they will eventually include mongraphs and pack-list titles. De Gryuter has a very strong list in Classical and Ancient Near Eastern Studies, and a not inconsiderable number of these titles are available online by license already. At the moment there does not seem to be a limiter allowing users to identify open access material in the search tools available via Global Reference. 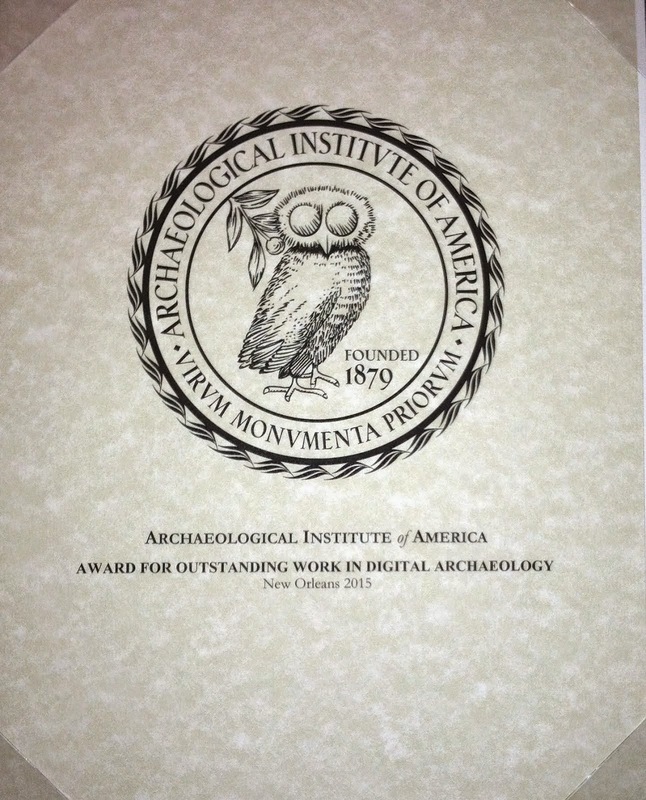 The University Press of Colorado, Texas A&M University Press, University of Alabama Press, University of Arizona Press, University Press of Florida and University of Utah Press will jointly explore ways to deliver data- and illustration-rich digital editions of cutting-edge archaeological research. The project, called the Archaeology of the Americas Digital Monograph Initiative, will give scholars and professional archaeologists the ability to review supplemental data not often contained in conventionally published volumes. Enhanced by large data sets, color illustrations, video components, three-dimensional, rotatable images and, in some cases, interactive components such as reader commenting, the digital platform could “stretch our very conception of the book,” Pratt said. The University Press of Colorado will administer the planning grant, which will fund a shared project manager. If the program reaches full implementation, the presses could potentially create a third party entity devoted to the creation and maintenance of the digital platform. The presses also plan to work on a business model for the proposed platform. Meredith Morris-Babb, director of the University Press of Florida said development of a strong fiscal model is critical to the project's success. “Generating sustainable levels of revenue from digital publications has proved tricky for university presses,” she said. University of Arizona Press Editor-in-Chief Allyson Carter said the strength of the archaeology-focused digital initiative lies in the depth and breadth of the participating presses in New World archaeology. Together, the participating presses publish more than 70 titles in this field annually, focusing on the southeastern and southwestern United States, the Mountain West, Great Basin, Texas, Mexico, Central America, South America and the Caribbean as well as the early hunter-gatherers that peopled the Americas. The presses plan to develop a prototype digital book, providing a workable platform that could potentially be used by scholarly presses around the world. While the initiative will involve publishing many of the same books both in print and digital form, the participating presses will enhance digital editions with data not currently available in most printed books in the field. Like scholarly books in other humanities fields, sales of archaeology titles remain limited. Presses also must enforce strict length and image limitations to constrain production costs. And see also the Digital Antiquity project, as well as Charles Watkinson's comments on both. Archaeoinformatics.org has changed into Digital Antiquity. ... Digital Antiquity will establish a financially and socially sustainable, national/international, on-line digital repository that is able to provide preservation, discovery, and access for data and documents produced by archaeological projects. The repository, known as tDAR (for "the Digital Archaeological Record") encompasses documents and data derived from ongoing research (more than 50,000 field projects are conducted in the US each year) as well as legacy data collected through more than a century of archaeological research in the Americas. With the active participation of the discipline, this initiative has the potential to transform the practice of archaeology and to revolutionize our knowledge of the past by enabling synthetic and comparative research on a scale that has heretofore been impossible. They are searching for a full-time Executive Director, and will hire two software engineers, a data curator, and clerical staff as soon as the Executive Director is on-board. The Digital Antiquity wiki will be very interesting to watch, especially if they deploy a news feed. And see also the Archaeology of the Americas Digital Monograph Initiative, as well as Charles Watkinson's comments on both. Open access to ancient South Asia? Spurred by a comment Steve Farmer made on the Indo-Eurasian_research list, I began to wonder what open access resources there are for the study of ancient South Asia. I know of the Electronic Journal of Vedic Studies, and of the central place INDOLOGY: Resources for Indological Scholarship plays as a clearing house for such material. There is, of course, the Digital South Asia Library. What else is there? Statistics on downloads of electronic files and sales of printed books are tracked, and sales of the printed volumes have not decreased! Indeed, after the complimentary distribution of twenty-one titles in 2008 that had for many years only been available in print, sales of these titles increased by 7% compared with the previous two years. This strikes me as very significant indeed! If open access can now demonstrated to increase the sales of back list titles, one of the primary arguments against providing open access for back-list titles evaporates. In fact it seem to indicated that open access, if thought of as promotional, might actually increase a publisher's revenue stream. It would be nice to see the documentation for this OI data presented in detail. It will also be interesting to see how this pattern develops over time. The School of Oriental and African Studies, University of London has a very interesting and useful eprint server. From the point of view of ancient studies, there is a lot of material at the Department of the Languages and Cultures of the Near and Middle East, significantly a large set of full-text, open access articles by Andrew George. Many of the entres include bibliographic metadata, but it possible to limit a search to include only open access full text results. Search around a bit, you're sure to find other interesting things.